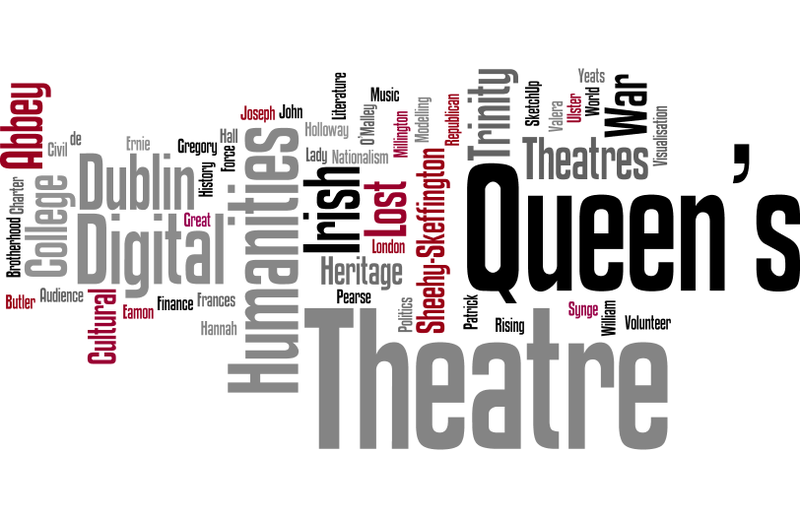 This is a digital humanities project concerning the creation of a series of computer based visualisations of the Queen’s Theatre Dublin as it may have appeared during the years 1951-1966. The team members involved in this endeavour are completing a MPhil in Digital Humanities and Culture in Trinity College Dublin, and executed this project as part of their Heritage Visualisation in Action course, taught by Dr. Hugh Denard. The project has been published as part of the Lost Theatres Project and was completed following the London Charter guidelines for best practice when engaging in computer-based visualisations.